This afternoon more than 500 Tea Party activists descended on Washington, D.C., from the likes of Raleigh, Valley Forge, and Virginia Beach—with the largest contingent hailing from New Jersey. They had been invited by a right-wing group called Americans for Prosperity (AFP), and the plan was to “protest the lame-duck session” by attending a rally headlined by Michele Bachmann, Jim DeMint, and Mike Pence (which turned out to be a snoozer) and then hit the halls of Congress to “knock on doors”—demanding, furiously, that their representatives not betray the principles of the Tea Party which has just won an election. Prominent on their list was Senate Minority Leader Mitch McConnell. An aide apologized: “I’m so sorry everyone, but we’re very busy today and it’s hard to do our jobs with all of you in here, talking so loudly. We can’t even answer our phones.” Yet the mob's irritation only increased. “Please keep the door clear!" begged another aide. Like besieged babysitters, they ended up turning on the television so the Tea Partiers could watch McConnell's opening remarks. 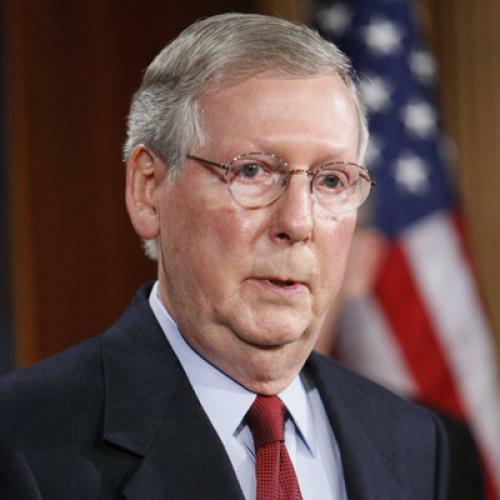 As it happens, at just that moment, McConnell was doing a dramatic about-face, pledging that he would support a moratorium on earmarks during the next Congress. In other words, on a policy issue, he was giving the Tea Partiers exactly what they wanted.